This page was relevant from 2009-2011. The list from that time is no longer relevant, but is here for archival purposes. Some of the original tents are still on the above list, as they are still made and still totally rock. So this list is just the ones from 2009-2011 that are no longer made. The Mountain Hardwear Helion 2 Tent is Mountain Hardwear’s version of an ultralight, backpacking tent. 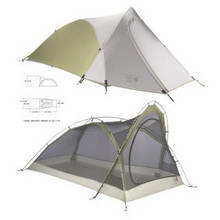 This 2 person tent utilizes ultralight fabric and poles, along with intelligent design, to create a tent that protects from the elements while cutting back on weight. Like all Mountain Hardwear products, this tent is expensive… but is it worth the price tag? 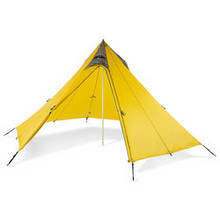 Unfortunately, the drawback to the Mountain Hardwear Helion 2 Tent is the pricetag. At a whopping $425, this is a serious investment. Is it worth it? I don’t believe so. 3.5 pounds is light, but not ultralight. Keep reading and you will find tent reviews of lighter tents that cost less. Are you a true minimalist? If so, then GoLite has the best, ultralight camping tent for you. Honestly, no backpacking tent is better than the GoLite Shangi-La 2 Tent . Want to see why? Weight – 26 ounces. Yes, that’s 1.5 pounds. Packed Size – 5 x 10 inches. However, the GoLite Shangri-La 2 Tent does have some drawbacks. First of all, it does not come with aluminum nor carbon fiber tent poles. Instead, you use trekking poles as tent poles. For backpackers who do not own trekking poles, this requires an extra investment. However, this is why GoLite’s ultralight tent is so lightweight. Next, it’s a non-freestanding tent. This means you must have tent stakes in place to secure your tent in. Honestly, I don’t think this is a drawback. 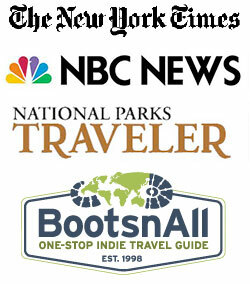 Glacier National Park Hiking & Backcountry Campgrounds are well-developed. In fact, the majority of American campsites are developed enough that inserting tent stakes is not problematic. Decades ago, before campgrounds were well-developed, this may have been an issue. But now you can insert tent stakes easily and without worry. So, that drawback isn’t really a drawback. Finally, there are no windows. Ventilation is rough and it can get stuffy in there. Remember though, GoLite’s lightweight tent weighs 1.5 pounds. Worthwhile tradeoff? I believe so. Learn more about the GoLite Shangi-La 2 Tent .